According to Reuters, Egypt’s petroleum ministry revealed that a deep-water oil and gas exploration deal for 8 wells worth around $1 billion has been signed with Royal Dutch Shell and Malaysia’s Petronas in the West Nile Delta of the country. Another deal worth $10 million has also been signed with U.K.-based Rockhopper Exploration, Kuwait Energy and Canada’s Dover Corporation for oil and gas exploration in the Western Desert. All of which are in line with the North African country’s quest to become Africa’s largest producer of liquefied natural gas (LNG). The oil and gas sector is a major contributor to the country’s economic growth, attracting both public and private investments. In 2016 and 2017 respectively, it accounted for approximately 16 percent of the country’s GDP and 30 percent of the foreign direct investments. 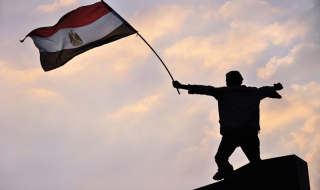 Egypt ranks among the top 20 countries globally for proved natural gas reserves, natural gas production and consumption. BP’s Statistical Review of World Energy 2016 released in June 2017 put Egypt’s proven natural gas reserve at an estimated 65 trillion cubic feet, making it the third largest in Africa. The government has also continued to encourage international oil companies (IOC) to invest in the sector. There are currently over 50 IOCs operating in the country. However, natural gas production in the country has been on a decline, falling from a 2009 peak of 5.8 billion cubic feet per day to 3.9 billion cubic feet per day in 2016, based on estimates in BP’s Statistical Review of World Energy. This has been as a result of insufficient investments, according to Business Monitor International Research. Egypt was at a time a significant exporter of natural gas but the inability to meet up with local demand has greatly affected its exporting potential. Political instability and an inability to meet up with payments to IOCs operating in the country hampered production to the point where importation became the only way to meet up local demand. In March 2015, a $12billion natural gas development deal was signed with BP to develop a large quantity of offshore gas and bring it onshore for domestic consumers. In August of the same year, ENI discovery the Zohr field, which is considered the largest discovery ever made in the Mediterranean Sea. The Zohr field started production in December 2017 and is estimated total output will be approximately 30 trillion cubic feet. Zohr currently produces 2 billion cubic feet per day and is expected to help Egypt achieve natural gas sufficiency before the end of 2018 with exportation expected to begin in the first quarter of 2019. According to Egypt’s Petroleum Minister, Tarek El-Molla, they are targeting an increased production of between 6.5-6.75 billion cubic feet of gas per day to attain self-sufficiency as 70 percent of the country’s electricity is dependent on the fuel from natural gas. In Africa, the North has been on the forefront of production with Algeria, Libya, Egypt and Tunisia enjoying large reserves and lucrative production operations. Libya is dealing with a civil war which has affected their production. While Algeria’s production has slowed down in recent times owing to pale foreign investments. Recent commitments to revamp the sector, alongside deals with some multinational oil companies could turn Egypt into Africa’s largest natural gas producer.